Water, organic soybeans, nigari (magnesium chloride). Made here in Vancouver, this pressed tofu is ideal for stir fry, casseroles and stews. This product traveled 2 km to reach our warehouse. 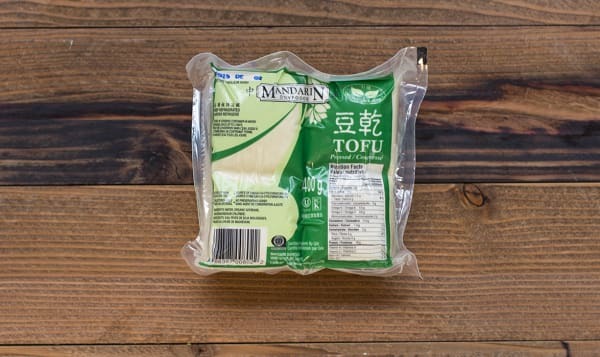 The Sunrise legacy began in 1956 when Leslie Joe and his wife Susan began making and selling blocks of tofu outside of their "Sunrise Market" in Vancouver, BC. Keeping with this tradition, the Joe family continues to run their Sunrise Market on Powell St. where it first began. More recently Sunrise introduced the Pete's line of tofu made with certified organic non-genetically modified soybeans and there no artificial flavors or preservatives added.